A key aspect of apprenticeship delivery that keeps training providers awake at night is Subcontracting. 15% of the apprenticeship delivery market is officially registered as ‘Supporting Providers’ each of whom will be the responsibility of a Main or Employer Provider. But what does good practice in subcontracting look like and what key questions must we continually address within our procurement and onboarding processes as training providers? Why do you need to subcontract apprenticeship provision and what is the compelling reason for this? Be very clear on your reasons for sub-contracting and that they are simply not to defer delivery to others or to generate income from management fees. 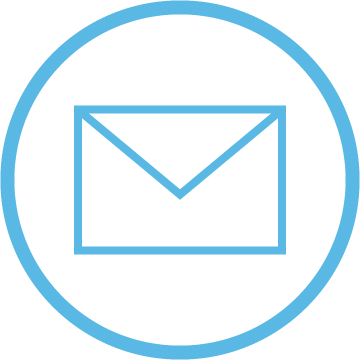 Do you have clear processes when recruiting and selecting apprenticeship subcontractors? Always make sure that you have a valid and reliable recruitment and selection process when assessing sub-contractors. 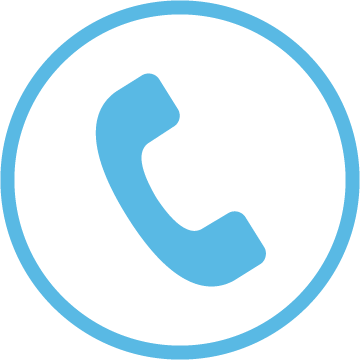 Never make promises over a mere conversation without undertaking proper due diligence checks and apply the same process to every organisation you speak to. Do you have clearly defined terms and conditions for subcontracting? Never skimp on a written contract between both parties outlining the terms and conditions of the subcontracting arrangement. Be clear on what each party will be doing, proportion of funding allocated to each activity and payment arrangements. Do you staff have the expertise to manage and monitor subcontractors?! This is one skillset that you must not overlook or take for granted. Always ensure that your partner support and management team have the skills and knowledge to monitor the activity of subcontractors (after all, they are 100% your responsibility!) and that they have the authority to raise exceptions with your Board and bring any risks, issues and concerns to the table. Are your fees, charges and payment terms fair, equitable and at the market rate? The Government is continually seeking value for money from public funding hence it is your responsibility to demonstrate that the service you provide is good value for money! ITSS helps organisations to set up and deliver high quality apprenticeship training by working with their staff to implement best practice management and delivery approaches. This includes practices for subcontracting and subcontractor management, either post-completion of our Sub-Contractor Assurance Controls Audit (SCACA) on your organisation or beforehand. 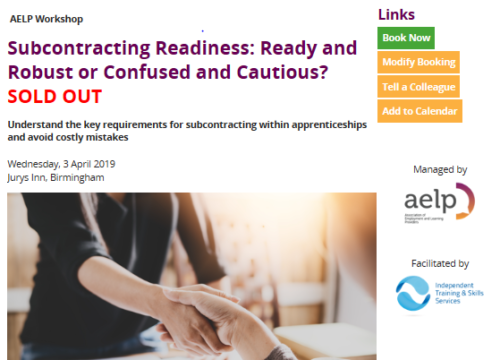 Our next Subcontracting workshop in Birmingham on Wednesday 3rd April 2019 at the Jury’s Inn: Subcontracting: Ready and Robust or Confused and Cautious?! IS ALL SOLD OUT! However, if you would like to get on the waiting list, then please email bally@itssadvice.co.ukwith your name, title and organisation name.